Paul Tapper has been named CEO of NUGEN Audio, a company he co-founded in 2004. NUGEN Audio has appointed company co-founder Paul Tapper as its CEO. Tapper will leverage NUGEN Audio’s recent growth and provide the vision and leadership needed to take NUGEN Audio forward into its next stage of development and expansion, according to a press release. Tapper developed many of the original algorithms in use by NUGEN Audio products today, including the loudness metering and correction, DynApt, upmixing and True Peak limiting algorithms. 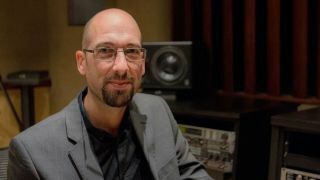 Tapper and Jon Schorah founded NUGEN Audio in 2004; Tapper has remained on staff at NUGEN as technical director since that time. Additionally Tapper worked as a lead programmer at Runecraft until 2003 and as a lead programmer for Team 17 Digital between 2003 and 2010.